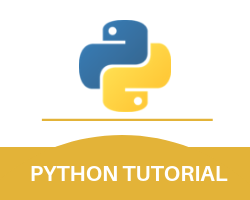 In this module, we will be looking at the various Python functions programs. And as a developer who is using this programming language, it is important for you to know that in this programming language a function is basically defined as a specific block of code that can only run whenever it is called. It is also possible for a user or a developer to pass parameters which are basically just a kind of data in this programming language to functions. This will help that particular function to return a particular data as a result of this. If the above-mentioned example, there is only a single function with a single parameter which is named fname. Whenever this function is called then we pass along the first name. This is used to print the full name inside the function itself. If you call any particular function without using any kind of parameter then that function automatically uses the default parameter value. If you want a particular function to return the value then it is suggested that you should use the return statement. With this, we finish our python functions tutorial.